Product prices and availability are accurate as of 2019-04-16 18:10:39 UTC and are subject to change. Any price and availability information displayed on http://www.amazon.com/ at the time of purchase will apply to the purchase of this product. 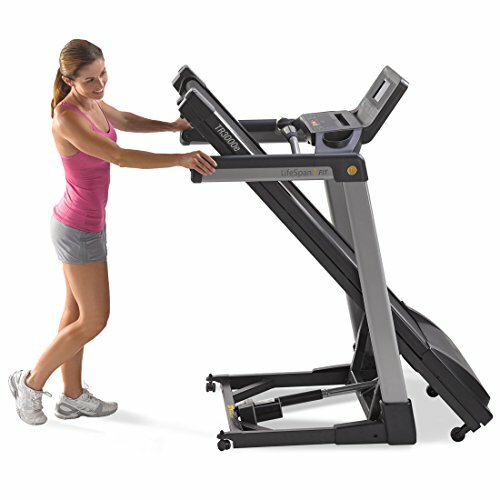 The TR3000e Electric Folding Treadmill combines advanced fitness technology with the convenience of eFold storage. The 20" wide x 56" long running surface features 8 independent impact-absorbing bumpers, making it comfortable to run for extended durations. 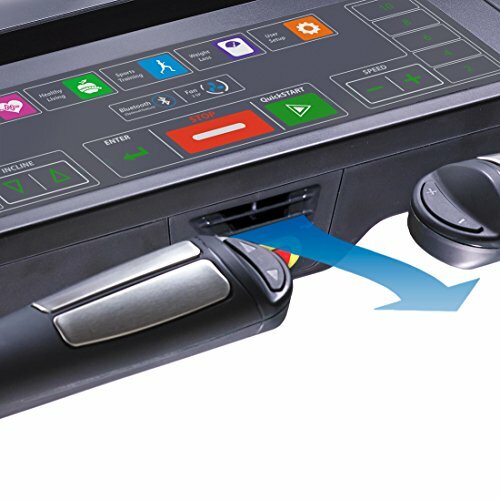 The 2.75 HP drive motor and premium running deck combine with the automatic step counter, 3-speed cooling fan, USB port, and dynamic exercise program to create a unique exercise experience. The console includes 17 preset workouts: 5 weight loss, 5 healthy living and 7 sports training. 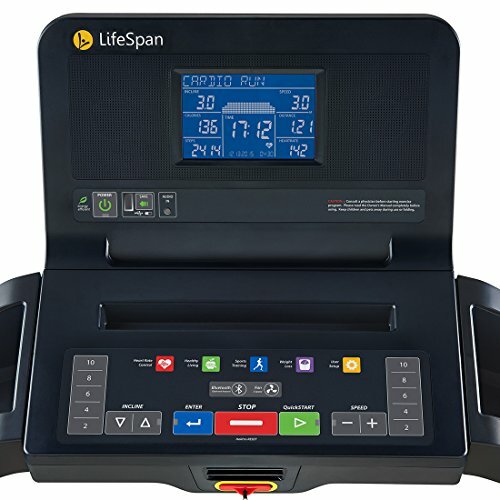 The speed range of 0.5 - 12 MPH and 15 incline levels offer a large array of workout options. 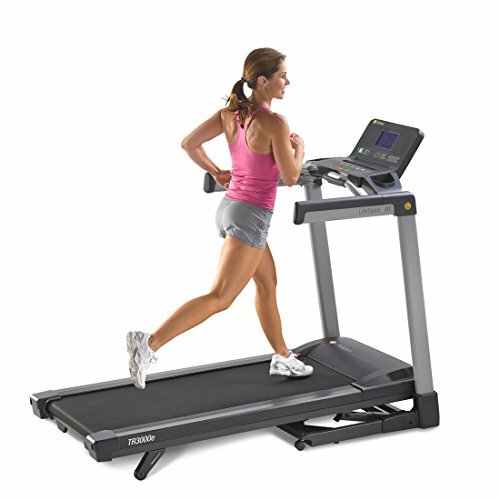 The eFold technology folds the treadmill electronically with the press of a button, folding to 39" long x 33" wide x 66" high. While folded, the treadmill can easily be rolled for storage. 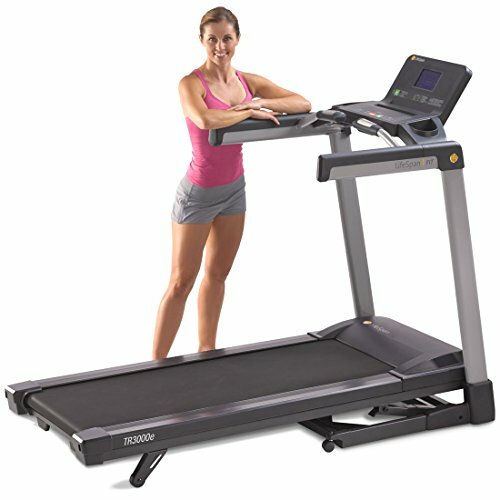 Unfolded, the treadmill measures 70.25" long x 33" wide x 55" high. 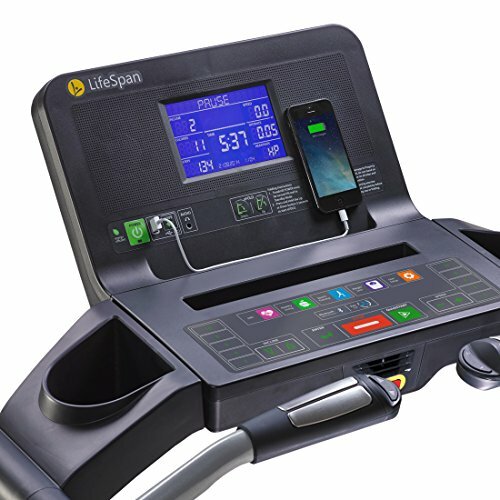 Bluetooth compatibility (LifeSpan Bluetooth adapter purchased separately) allows you to track your workouts and connects you with free LifeSpan Active Trac and Train & Trac apps that work with your Android device or iPad. Please note that only the LifeSpan Bluetooth adapter is compatible with the treadmill. The residential warranty covers a lifetime on the frame and motor, 5 year parts and 1 year of labor.